Travellers, ahoy! 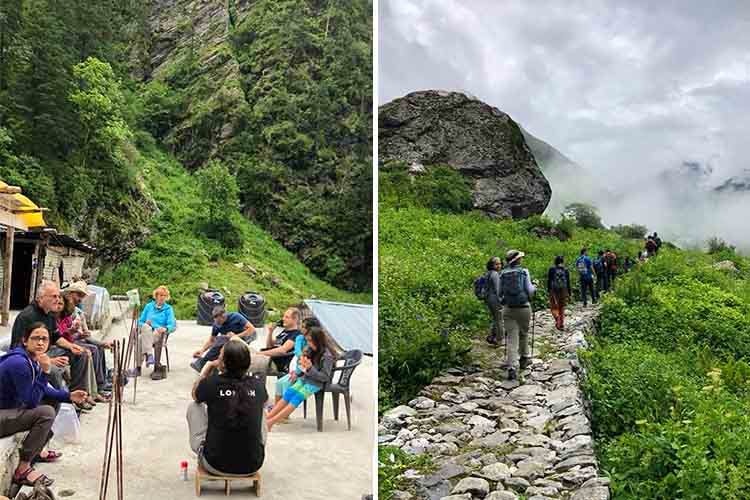 If you’re planning to trek anywhere in Himachal, Uttarakhand, J&K or Nepal, Wanderers is who you should ring up. They’ve even got road trip services on offer for the North East, Leh Ladakh, Jaisalmer, Goa, Bhutan and three other places. Adventure travel, guided treks & road trips. They’re pros when it comes to knowing the ins and outs of all the hidden areas. Rather than chilling at all the commercial spots, you'll be setting camps in beautiful hidden-from-the-crowd areas, cooking food and meeting like-minded people. You can either choose from their 32 locations for trekking or go for a road trip. They’ve got fully-equipped caravans with convertible tops for travelling even to the remotest of locations (hello, Lahaul and Spiti). We love that they don’t have rigid itineraries. Once the destination is set, the route, number of days and how the area is explored is something that’s decided upon by the entire group together. At a time, they do not take a group of more than 10-12 (makes it easier to coordinate), but that also means that you’ll have trouble booking a place for yourself if you’re making a plan last-minute. You won't have to pack a lot with them. From tents and medical supplies to whatever equipments you might need on the way, they’ll keep it arranged for you beforehand.